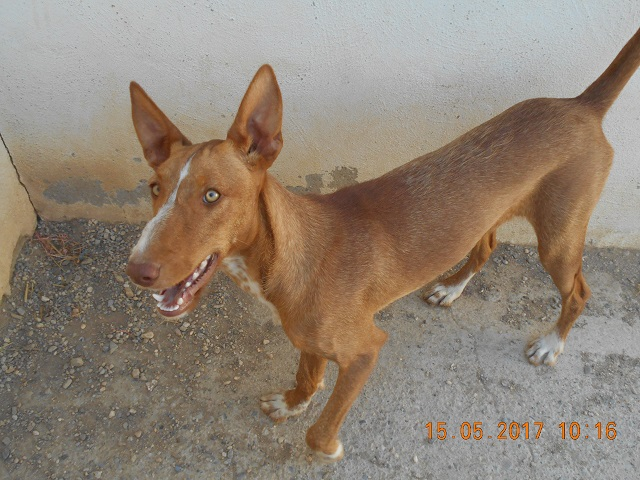 Dana and Lexy are 7 month old female Ibizan Hound (Podenco). 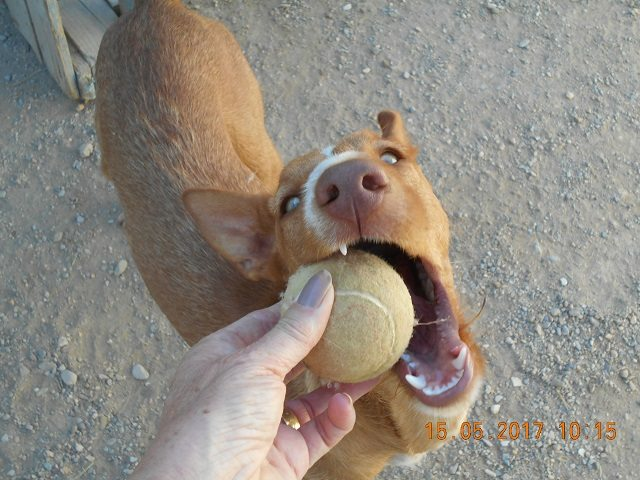 Stunning sibling Podenco puppy girls who are so friendly and very eager to please. These girls are medium size and love other dogs, one is tan and dappled white, the other is tan. Lexy is the girl behind the mesh fencing and lovely Dana is the one in the run. These girls are as pretty as Pointers! More assessments will be done for lead work, cats and general character, but so far these are two very very nice puppy girls. Both can be homed independently. They like other dogs and we think they will be good with children over 8 years. Denise’s report from PAWS in May: These 2 girls are adorable and very pretty and affectionate and love people and cuddles. 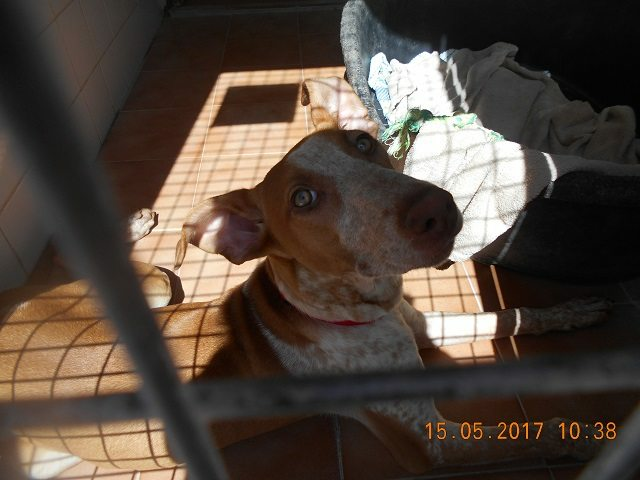 I met Dana who was in general circulation but lovely Lexy was only just admitted to the shelter and in quarantine area waiting for her first vaccinations, so I was unable to enter and had to take photos through the fencing. Dana had been abandoned at the Shelter gates weeks ago and whilst I was at the shelter last week we saw Lexy come to the gate crying to be let in! She followed all the dog walkers and wanted to play with the dogs being walked then sat at the gate crying and tried to jump into one of the volunteers cars as they left. Poor girl must have tracked down her sister and wouldnt go away so she was admitted to the shelter and is now also safe. 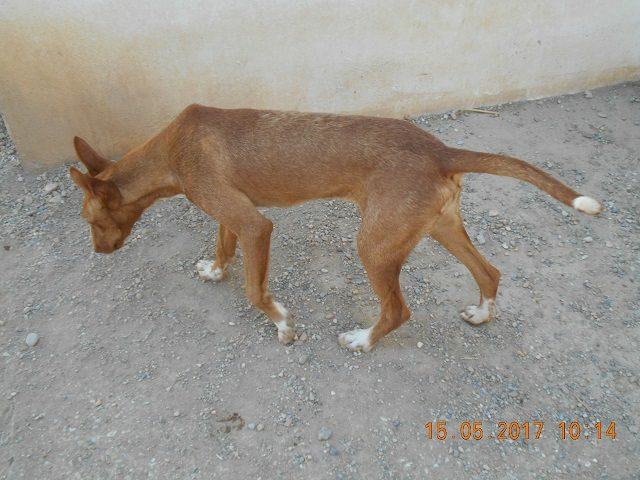 Current location is in Spain can travel to the UK once they have a home to go to. 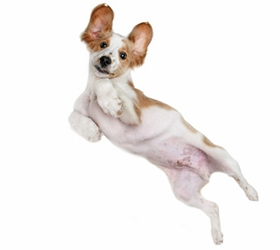 Vaccinated, wormed, flea treated, Spayed, Microchipped, Pet Passport. Any known health issues NONE YET FOUND. 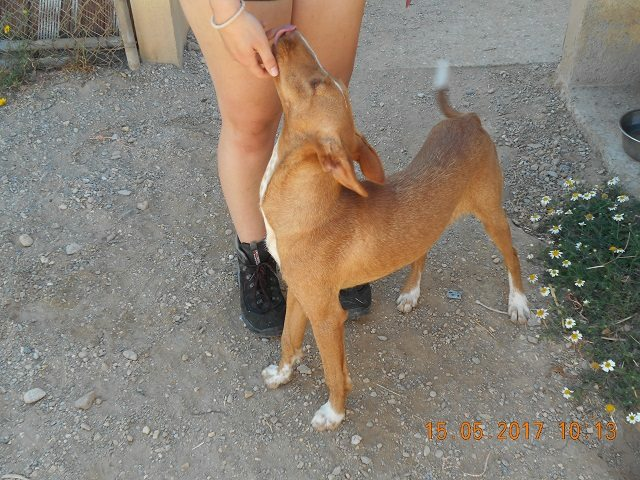 Adoption Fee: £ 195 – to be paid direct to the Spanish rescue to cover travel costs via UK bank account.